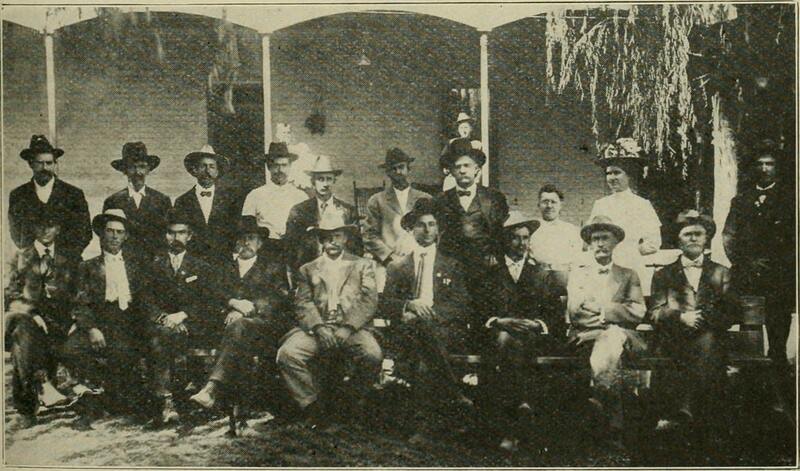 Members of the Pecos Valley Bee-keepers Association at their meeting at Roswell, New Mexico, in October, 1910. This photo was published in the January 15, 1911, volume of “Gleanings in Bee Culture,” a monthly journal established in 1873 to promote beekeeping. 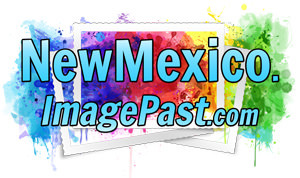 The photo accompanied a report of the Pecos Valley group’s petition to the Eastern Railway of New Mexico for a lower rate on honey, as local producers were doing so well they wanted to ship further afield (the petition was later granted.) The full text of their petition was published in the journal and makes for interesting reading. The mostly male—and mostly mustachioed—group poses under a large tree in front of a building. I’m curious about the two female members, one of whom sports an elaborate hat—were they the only female apiarists in the region? Were they, too, successful and hoping to expand their business? The hat seems to say so.